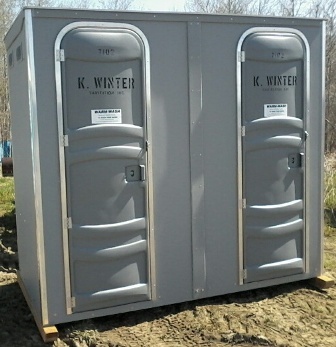 K. Winter Sanitation Inc. is experienced in providing all types of Portable Toilets for any and all construction projects, including, home builders, high rises, road construction, sewer and water main, Special Events and long term rental. 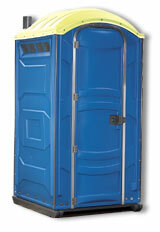 Our portable toilets are cleaned and serviced by our own professional staff. 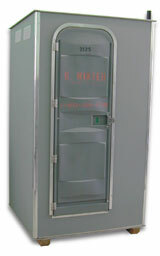 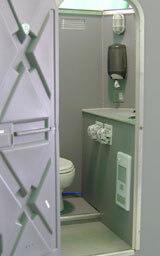 Our standard "Sure-Flush" construction toilet can come with either a Cold Water sink or Heated Warm Water sink, Infrared heat light, Electric fan heated, soap, paper towels, toilet paper, urinal, units on wheels, Electrical Safety Authority Approved signed and dated service card to meet the requirements for clean-up facilities on construction sites in Ontario. 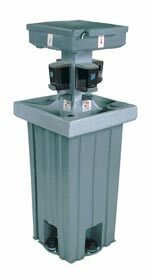 Our Modular toilet’s below are a larger bathroom with porcelain toilet, warm water sink, paper towel, soap, electric heater, light, service card, mirror, G.F.I., Electrical Safety Authority Approved. 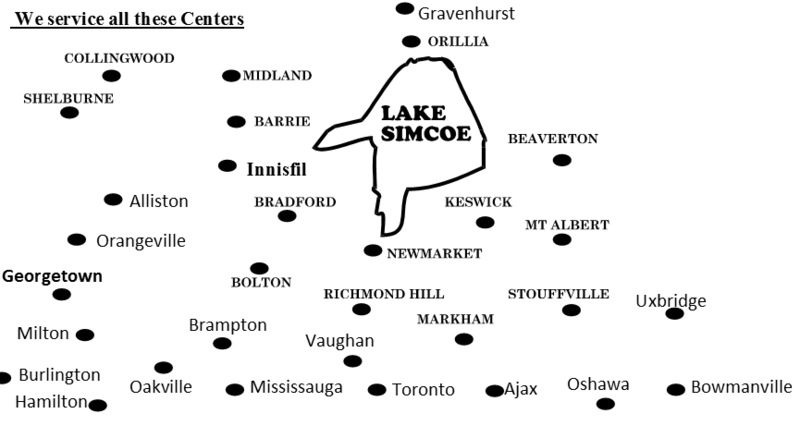 Servicing the following towns: Toronto, Hamilton, New Castle, Oshawa, Pickering, Scarborough, Mississauga, Milton, Brampton, Oakville, Burlington, Markham, Brooklyn, Newmarket, Orangeville, Bradford, Barrie, Orillia, Collingwood, Midland, Vaughan, Richmond Hill and all cities in between. 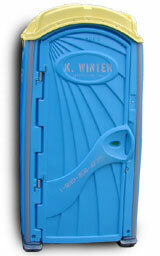 Call Toll Free 1-800-268-4729 for friendly professional service. 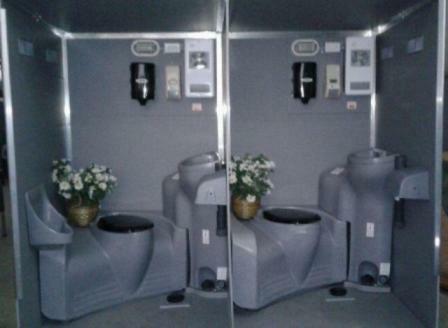 Our reputation for service is second to none. 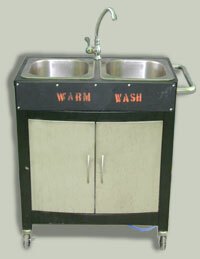 You can expect prompt delivery and pickup, thorough service, and knowledgeable assistance. 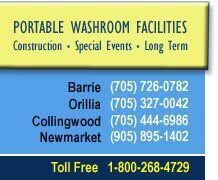 With over 54 years of experience, we offer you a professional dedicated to fulfilling your temporary or long term portable toilet and clean-up faculties service requirements. 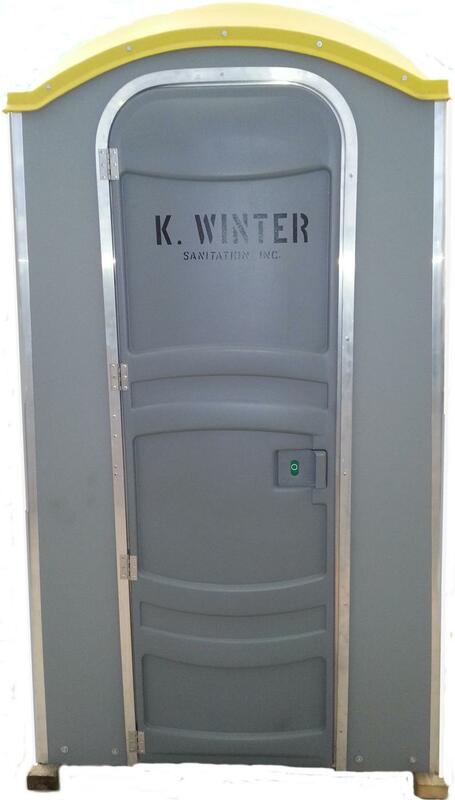 K. Winter can work with you to meet the Ministry of Labour requirements for Occupational Illness and Infectious Diseases For portable toilets, heat and clean-up faculties. 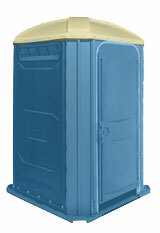 We want to provide clean portable toilets to make the work places a safe, clean and productive. 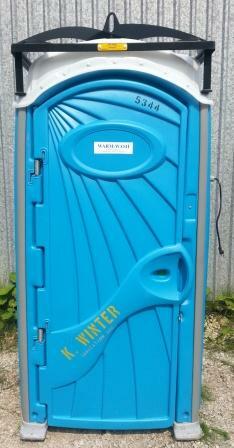 Please click the Toilet Pictures below for more information.